Just before Christmas I was sent some lovely pamper treats from the people who represent Joules, and before that time, I thought, Joules only did clothing - how wrong was I? I've since learnt that Joules also stock a huge range of homeware, accessories, bath & body treats and even gadgety type covers. Really, really pretty. 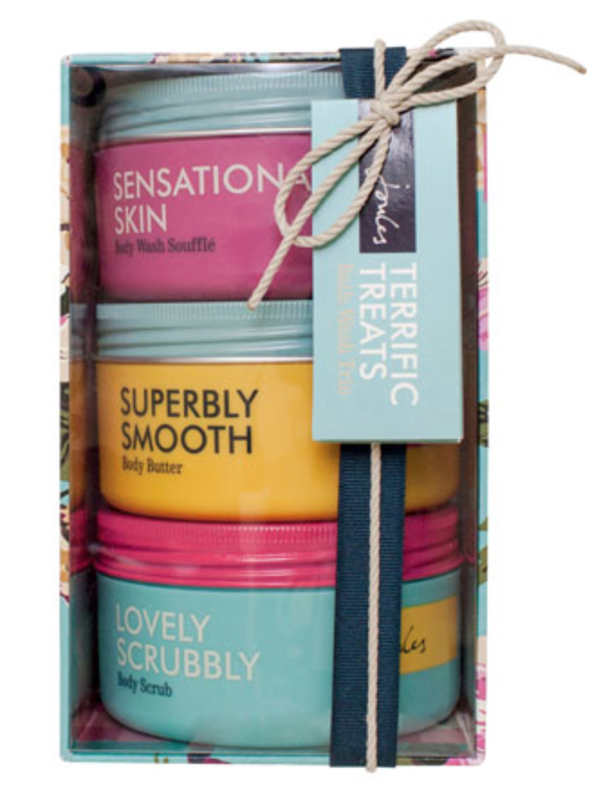 The 'Lovely Scrubbly' Bath Scrub came in a gift set of 3 called 'Terrific Treats' and they really were. So much so, my little sister pinched the other two products - Sensational Skin which was a Body Soufflé and Superbly Smooth - a body butter. However, Kristy kindly took a couple of pictures and sent me a little review of her own which will follow. Step in from the rain and have a Lovely Scrubbly bath, literally. There is nothing worse than feeling terrible, coming home from a long day, soaked to the bone. I know, all I want to do run a bubbly bath and have a bit of a pamper. This gorgeous scrub leaves your skin feeling extra soft and smelling yummy, the tiny grains infused within the formula are so gentle. I am a huge fan of scrubs but can sometimes find that the grains can be rather rough and leave the skin feeling a little irritated. I was very pleased with this Joules version. Each tub holds 300ml of product! Will last me ages. 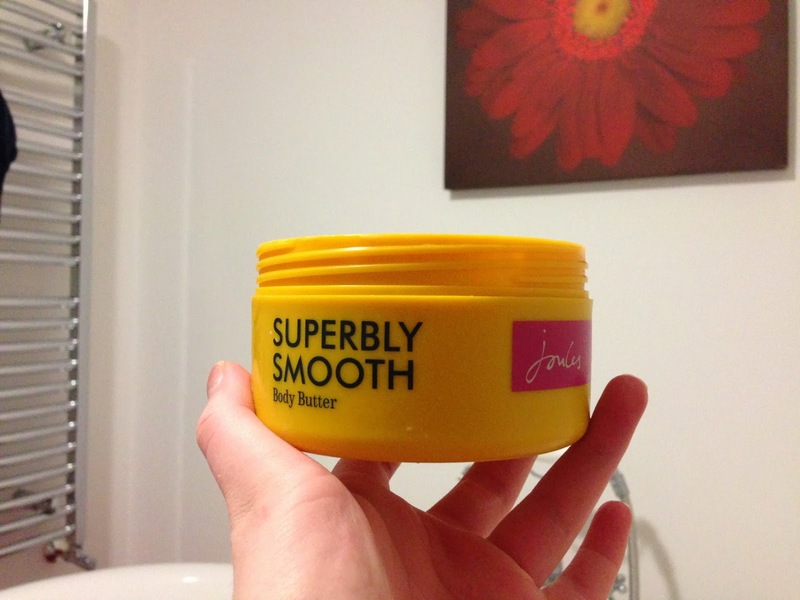 Kristy's thoughts - 'Superbly Smooth body butter is fantastic and smells delicious, the scent lingers all day, whilst leaving your skin feeling lovely and soft. 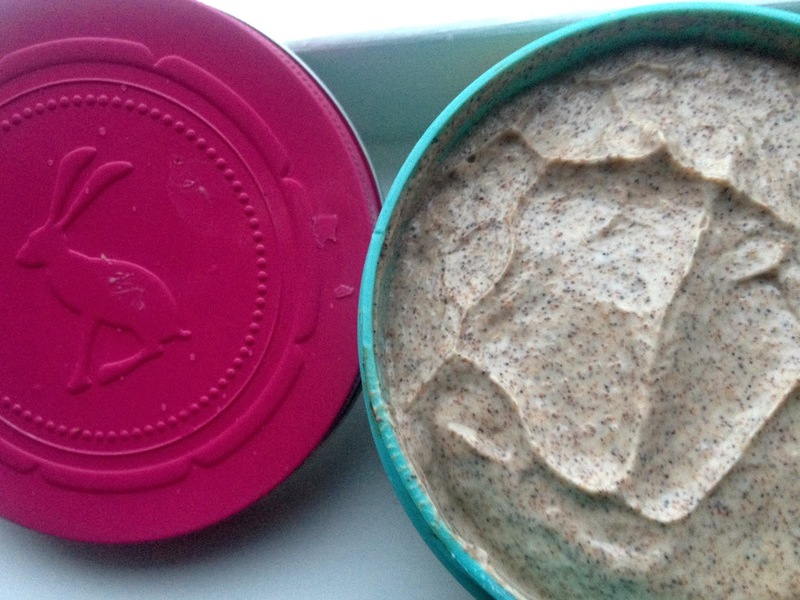 The Sensational Skin body soufflé lathers up beautifully, smells great and leaves your skin feeling silky and clean. I love these so much!'. We were both delighted with these products and can definitely say that we will be buying gifts for friends from this range in the future. What do you think of Joules? Have you tried this brand before? Looks like a great scrub. ill need to give this a go! I had no idea they did body products! I would love to give these products ago, and the packaging is so gorgeous it would make the perfect present too.